For the duration of July, I left the state of North Carolina and hit the highway in a search for 12 different dirt tracks. While I was away, I left a piece of bread on my kitchen counter. In a lot of ways, the current NASCAR schedule reminds me of that stale piece of bread. But, when NASCAR returns to the short track it reminds us of what could be. And, it could be that, every week. Unfortunately, NASCAR only has three short tracks (Arguably, just two) on the schedule. But, it you look at the highlight reels from the last 365 days, the vast majority of those highlights were born on tiny ovals. Over the weekend, Joey Logano put the bumper to Martin Truex Jr on the final corner of the NASCAR Cup Series race at Martinsville Speedway. The crowd jumped out of their seats with excitement and/or anger. Either of those things is exactly what the fans are looking for. If you missed it, click here to watch the finish of the race at Martinsville. As the leaders crashed, Hamlin snuck into the picture and nearly stole the win. He came of just a few feet short, finishing 2nd to Joey Logano. Matt Weaver: Everybody has a fix for NASCAR whether it’s rules packages or schedules. But, that’s gotta be the fix right? When you look at that on the TV. “We’ve had some great races and great finishes this year. 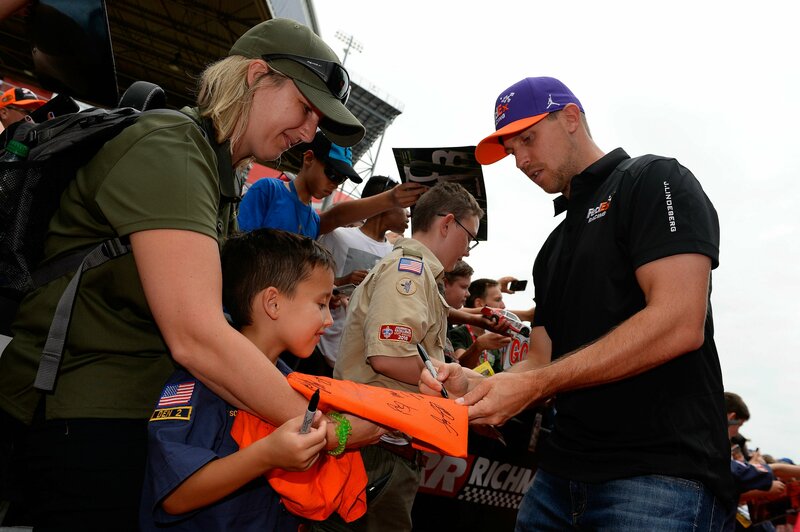 Ultimately, it all revolves around short tracks,” Denny Hamlin says after his runner-up finish at Martinsville Speedway. The slower you go, the less aerodynamics plays a role. That translates to closer racing as the trailing car doesn’t have to worry much about dirty air. For 2019, NASCAR will try something new with their 1.5-mile program. They will run restrictor plates on the engines and more downforce on the body. The combination of those things is hopefully to boost excitement levels at the intermediate tracks. The faster you go, the more downforce you have. The more downforce you have, the more you need it, at all times. By slowing the cars down on the 1.5-mile tracks to speeds of the 1990’s, aerodynamics will play less of a role in 2019. This should create an opportunity for trailing cars to get closer without the front end washing up the track from a lack of downforce on the nose. For 2020, the gloves are off. A bulk of the track contracts are set to expire. That opens the door for some new venues. Roger Penske is a former NASCAR track owner. Those tracks were: Nazareth Speedway, North Carolina Speedway (Rockingham), Michigan International Speedway and Auto Club Speedway. In 1999, he sold those tracks to the International Speedway Corporation in what was known as the Penske Merger. 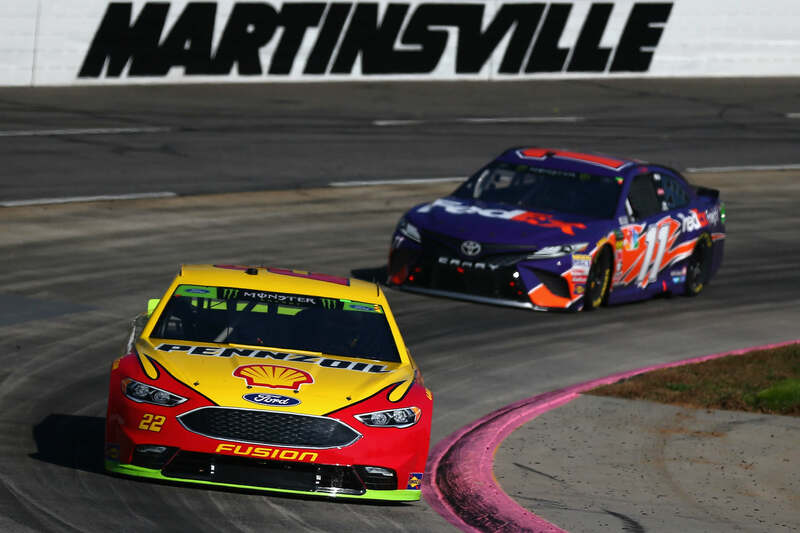 “To build a track today and find the land somewhere in the country to add another consolation would probably be very tough,” Roger Penske stated from the Martinsville Speedway media center.